Vice President Joe Biden is confident that Bernie Sanders is going to endorse Hillary Clinton and that the Democratic party will unify. 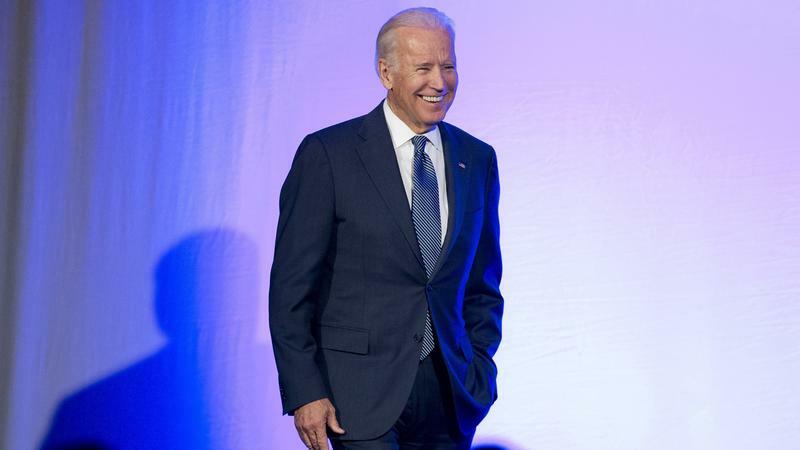 "Oh, I've talked to Bernie, Bernie's going to endorse her, this is going to work out," Biden said in an interview with Rachel Martin, host of NPR's Weekend Edition. 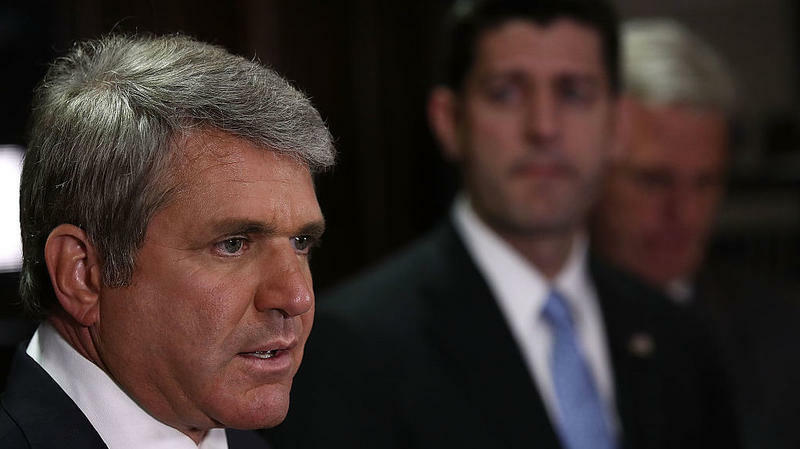 "The Democrats are coalescing even before this occurs." Sanders was asked about Biden's comment in an interview with MSNBC on Thursday evening and said he wasn't quite ready to endorse Clinton. Donald Trump had an awkward exchange Thursday at a New Hampshire event when a woman asked him why the U.S. isn't putting veterans on the border or at TSA instead of these "heebeejabis they wear at TSA." It was an apparent reference to Muslim employees who wear hijabs, or head coverings. The Justice Department and FBI have now released the full transcript of Orlando shooter Omar Mateen's 911 call, which includes his naming the Islamic State and leader Abu Bakr al-Baghdadi. In a joint statement, the agencies said they had withheld the names because they "did not want to provide the killer or terrorist organizations with a publicity platform for hateful propaganda" but decided to do so after the issue had become a "distraction" to the investigation. Bernie Sanders said Thursday night that his major political task for the next five months is to "make sure that Donald Trump is defeated and defeated badly." Maybe we're all just taking politics too seriously these days. 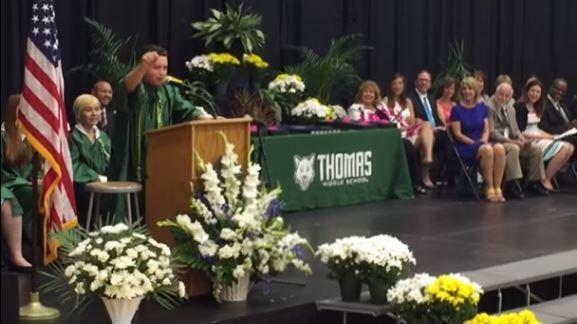 Eighth-grader Jack Aiello used his 8-minute graduation speech to impersonate Donald Trump, Ted Cruz, President Obama, Hillary Clinton and Bernie Sanders. 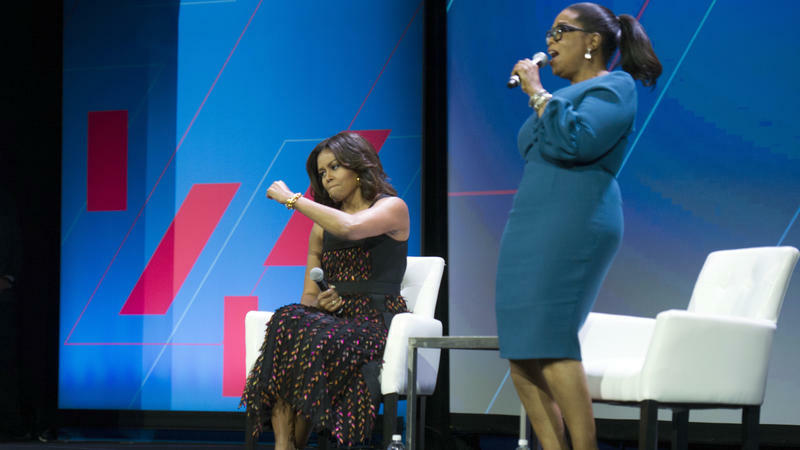 Oprah Winfrey and first lady Michelle Obama sat down at The United State of Women summit earlier this week in Washington, D.C. They spoke at length about women's empowerment and self-worth, but their message to men is getting a lot of attention. Asked what men attending the summit can do, Obama replied "be better." Lawmakers and presidential candidates swiftly responded to Sunday morning's shooting at a gay nightclub in Orlando — the worst mass shooting in American history. 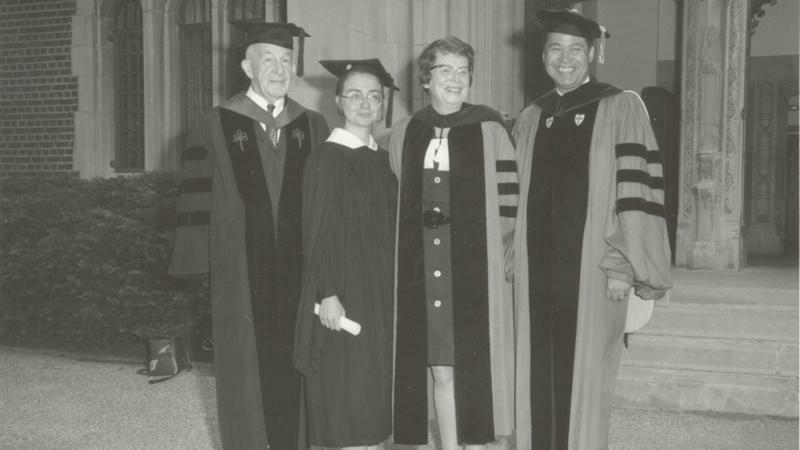 Audio excerpts of Hillary Clinton's 1969 student commencement address at Wellesley College have been released for the first time by the college. 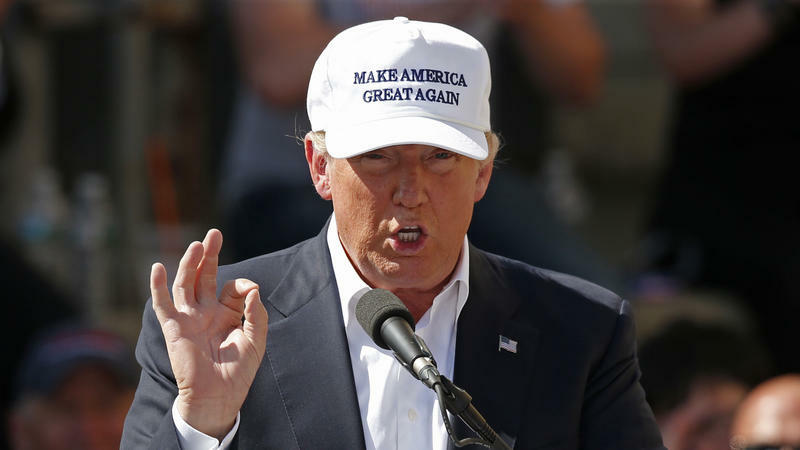 Donald Trump now has the support of 1,238 delegates — just a hair above the 1,237 threshold needed to clinch the Republican presidential nomination, according to The Associated Press. 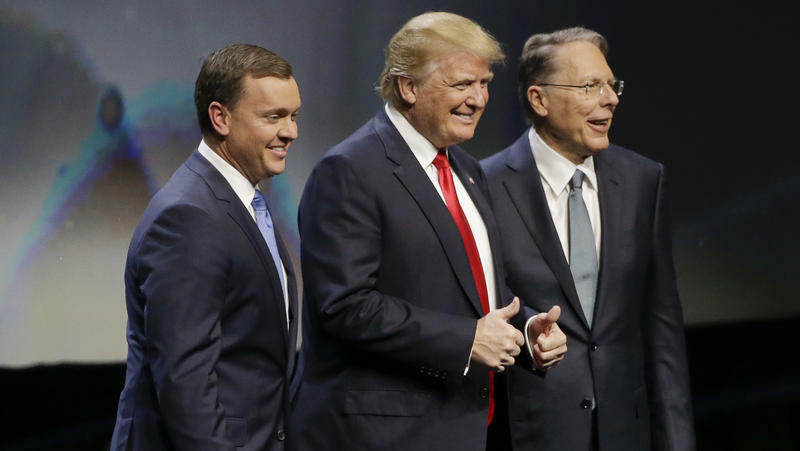 The National Rifle Association endorsed Donald Trump on Friday, just before the apparent Republican nominee addressed its annual conference in Louisville, Ky.
"To get the endorsement, believe me, is a fantastic honor," Trump said, adding that he and his sons are members of the NRA. "They're much better shooters than I am," he said. "They have so many rifles and so many guns, I tell you, sometimes even I get a little concerned," Trump said. Despite badly lagging in the delegate count, Bernie Sanders' campaign manager told NPR the campaign believes Sanders can and will be the Democratic nominee by winning over superdelegates at the 11th hour. This post was updated on June 6. 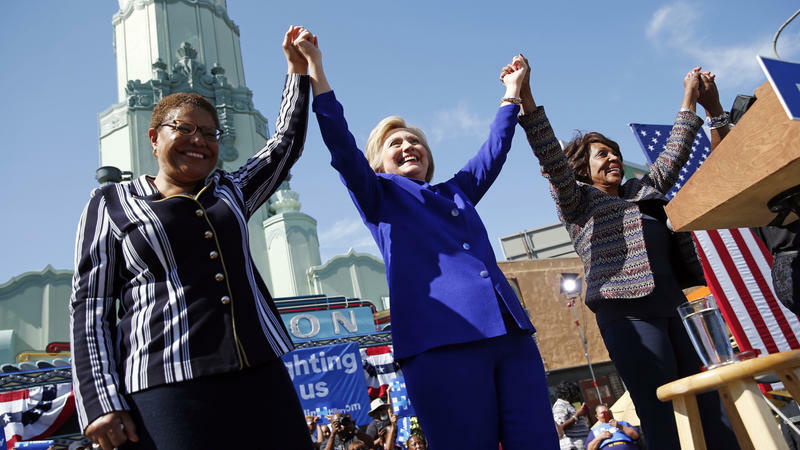 Hillary Clinton, now the presumptive presidential nominee for the Democratic Party, has become the first woman to top a major U.S. political party ticket. An updated count from The Associated Press shows that she now has support from the 2,383 delegates needed to clinch the nomination. 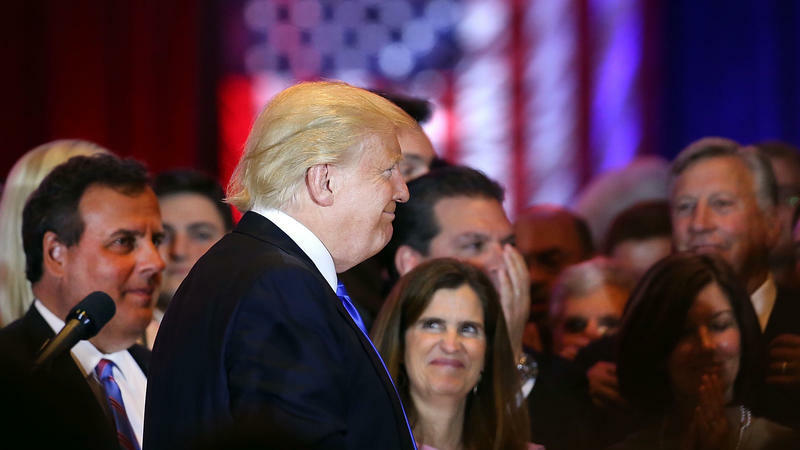 Did Mary Pat Christie Roll Her Eyes During Trump's Comment About Women? In his victory speech Tuesday night, having swept all five primary states that voted, Donald Trump made a comment about Hillary Clinton that went viral on social media. "Well, I think the only card she has is a woman's card," he said. "She's got nothing else going on. And frankly if Hillary Clinton were a man, I don't think she'd get 5 percent of the vote. The only thing she's got going is the women's vote. And the beautiful thing is women don't like her, OK?" 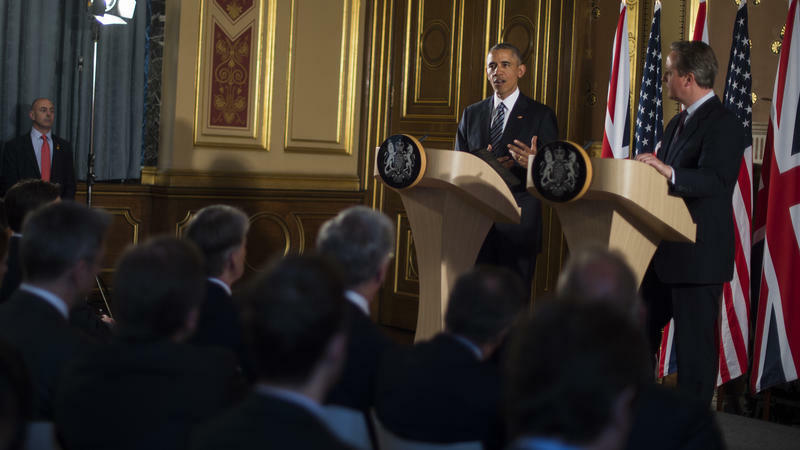 President Obama, in London to meet with the British prime minister, joked that he "warmed up" for those meetings this morning playing Prince's "Purple Rain" and "Delirious." Obama has long been a fan of the musician, who died yesterday at the age of 57. The president said he is staying at the U.S. ambassador's residence and "it so happens our ambassador has a turntable, and so this morning we played 'Purple Rain' and 'Delirious' just to get warmed up before we left the house for important bilateral meetings like this." 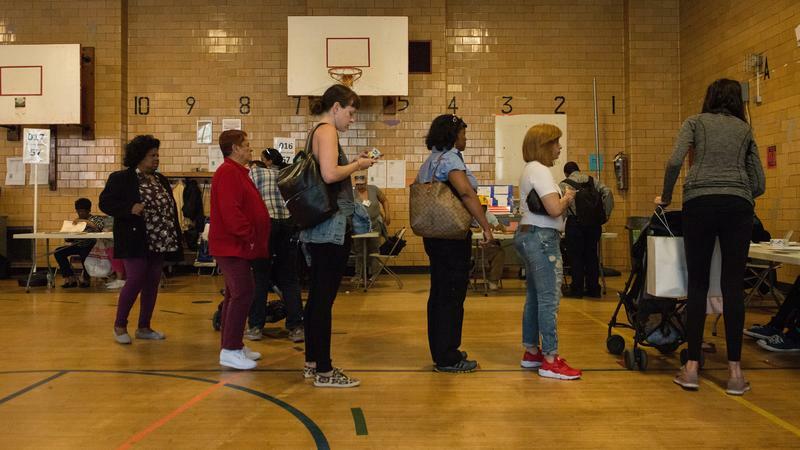 Following widespread irregularities at polls in Brooklyn Tuesday, New York City officials are calling for major reforms at the Board of Elections. 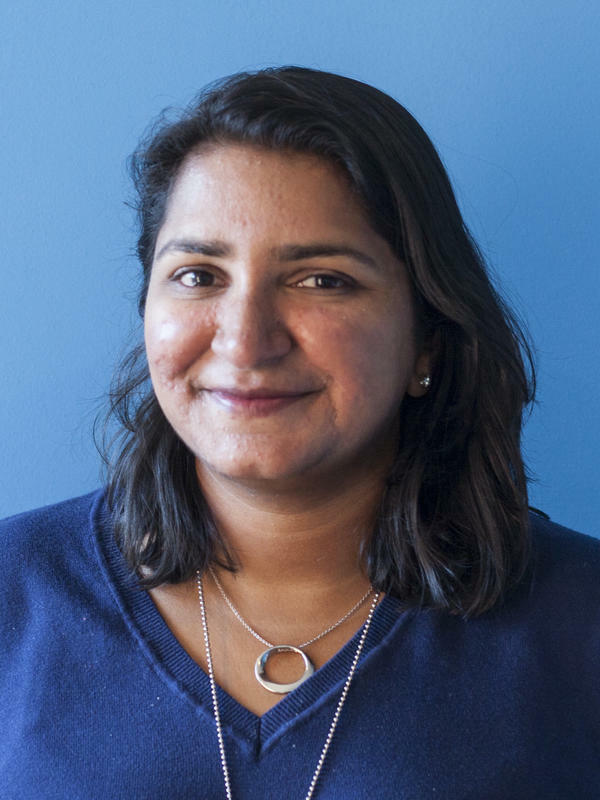 The problem was first identified in a an analysis of state voter enrollment statistics by WNYC's Brigid Bergin. The Board of Elections then confirmed that more than 120,000 voters have been dropped from the rolls in Brooklyn alone since November. 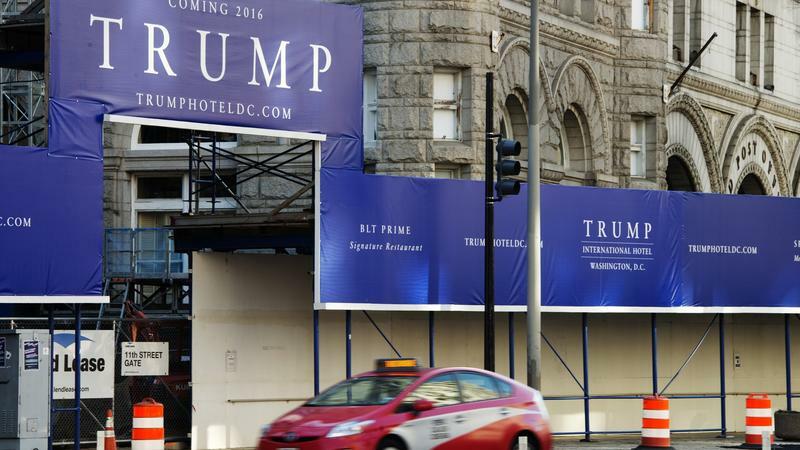 Trump Gets Serious About Convention Fight, Plans To Open Shop In D.C. The Trump campaign will open a Washington, D.C., office next week, part of a larger move the campaign is making toward becoming a more traditional political operation. 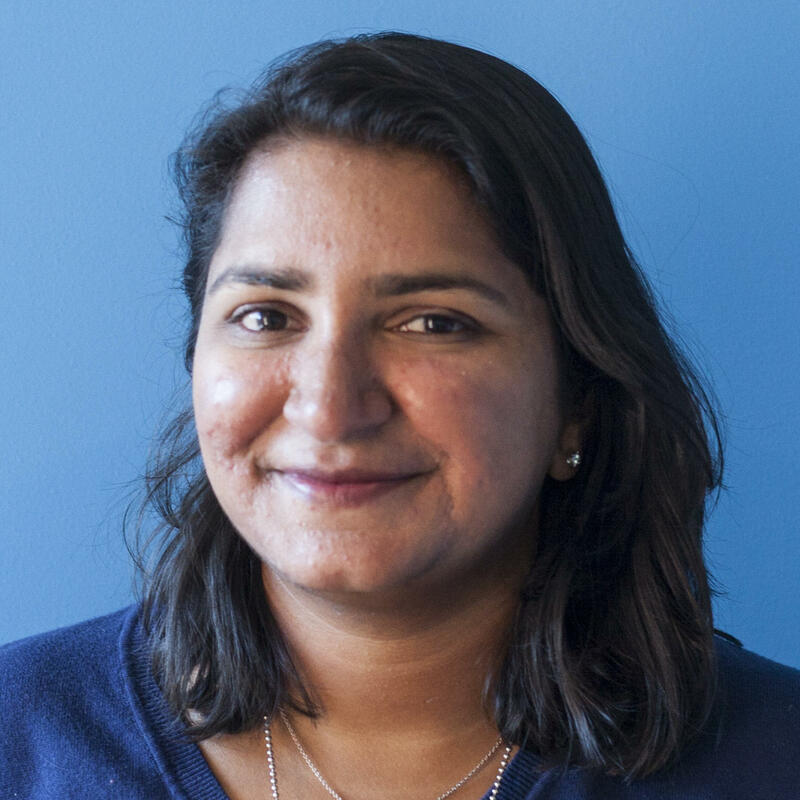 The plans were first announced last week, but the office opening will come following Donald Trump's bruising, 13-point loss to Ted Cruz in Wisconsin on Tuesday. 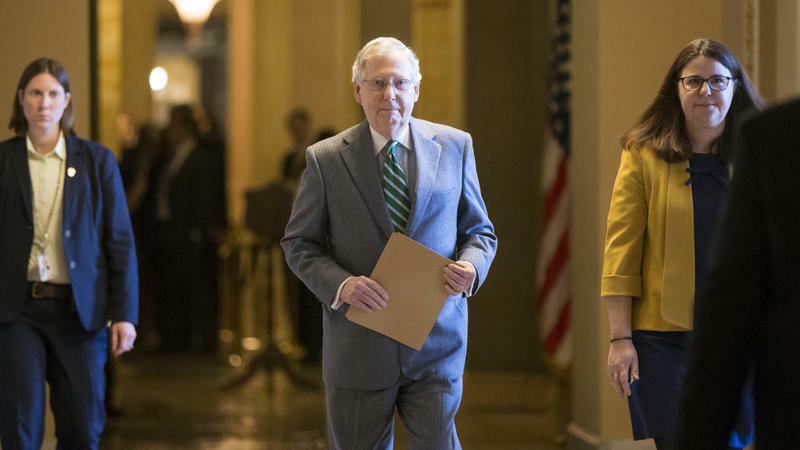 Senate Majority Leader Mitch McConnell vowed again Wednesday to block President Obama's Supreme Court nomination, saying the American people should have a "voice" in the process. 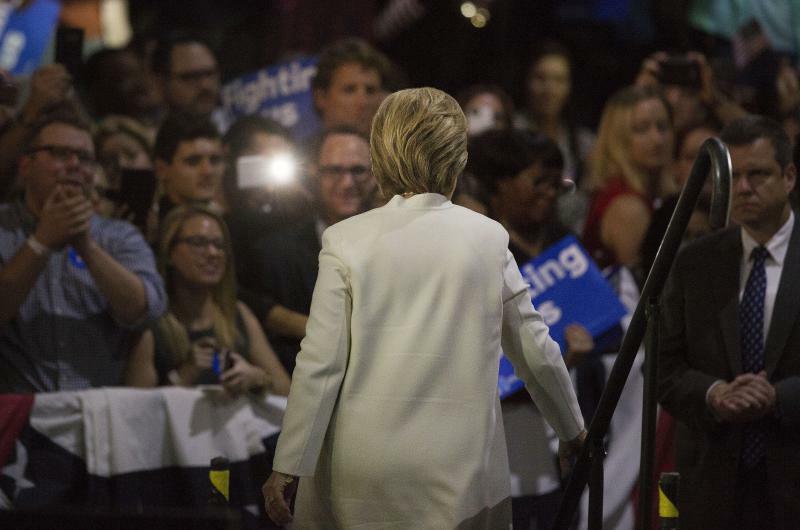 Hillary Clinton had a big night Tuesday, cheered by an exultant crowd in Palm Beach, Fla., as she won four states and led in a fifth. 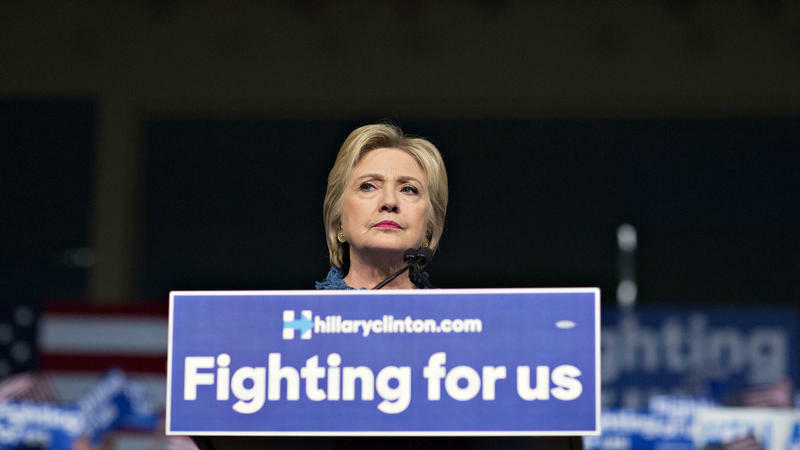 But some people on social media criticized Clinton's tone during her speech. It started with several tweets from male television personalities. MSNBC's Joe Scarborough told her: "Smile. You just had a big night." Just before that, he had tweeted: "What a massive night for @HillaryClinton." 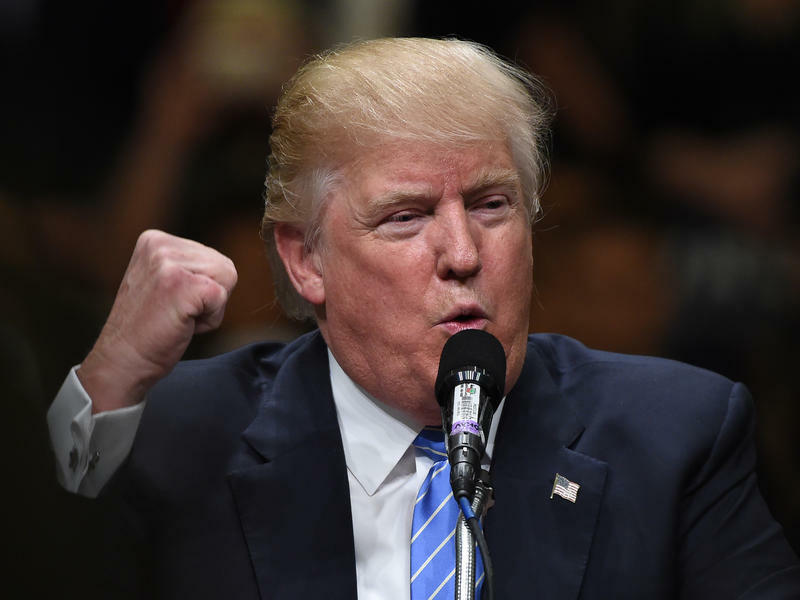 Donald Trump's campaign has spent an unusual amount of time this week answering questions about violent incidents. 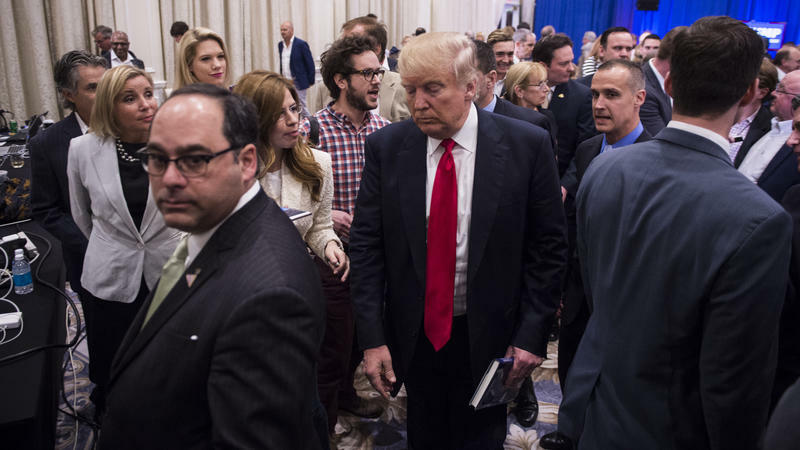 The latest involves an allegation by reporter Michelle Fields of conservative site Breitbart that she was assaulted by someone who was ID'd by another reporter as Trump's campaign manager. President Obama said Thursday that the Republican Party is responsible for Donald Trump's rise, for "over a course of time, creating an environment where somebody like Donald Trump can thrive." Obama refuted the argument that Trump's surge is a reaction to his presidency. 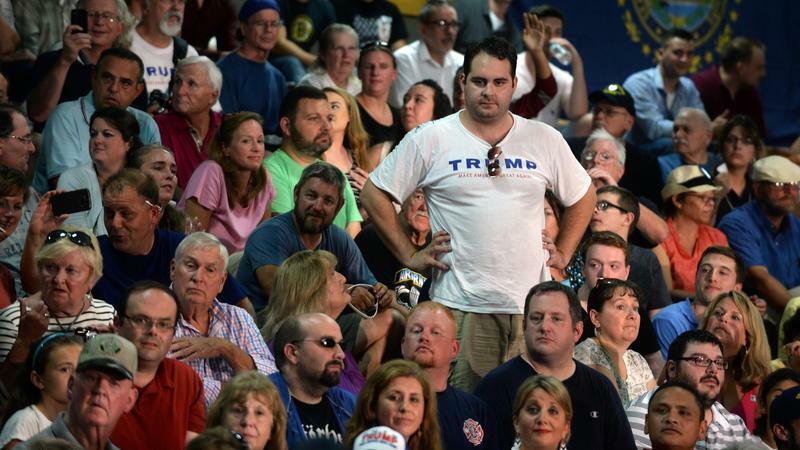 "He's just doing more of what has been done for the last 7 1/2 years. 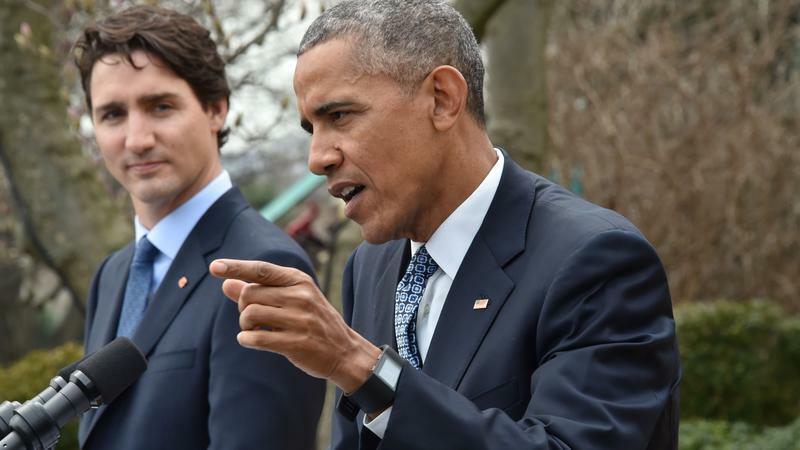 And, in fact, in terms of his positions on a whole range of issues, they're not very different from any of the other candidates," Obama said in response to a question during a news conference with Canadian Prime Minister Justin Trudeau. 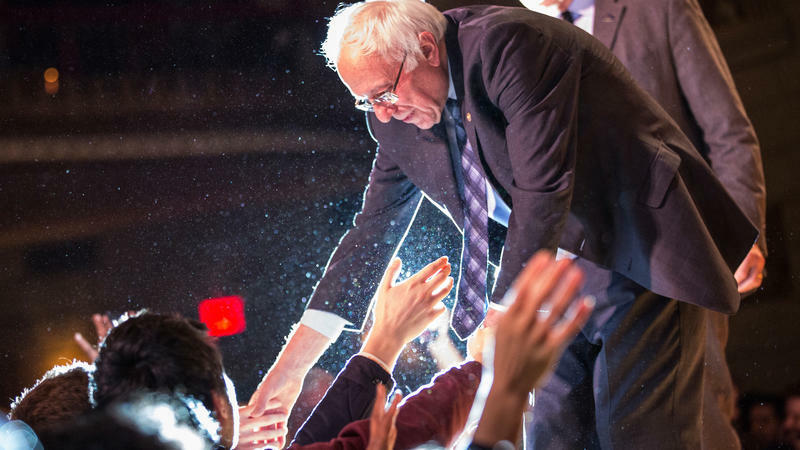 Bernie Sanders was the story of Tuesday night as he beat Hillary Clinton in Michigan's Democratic presidential primary. It wasn't a walloping — he won by less than 2 points — but still a big coup considering Clinton led in most polls by double digits before the race. Michigan is Sanders' ninth state win, though Clinton still leads in delegates overall. 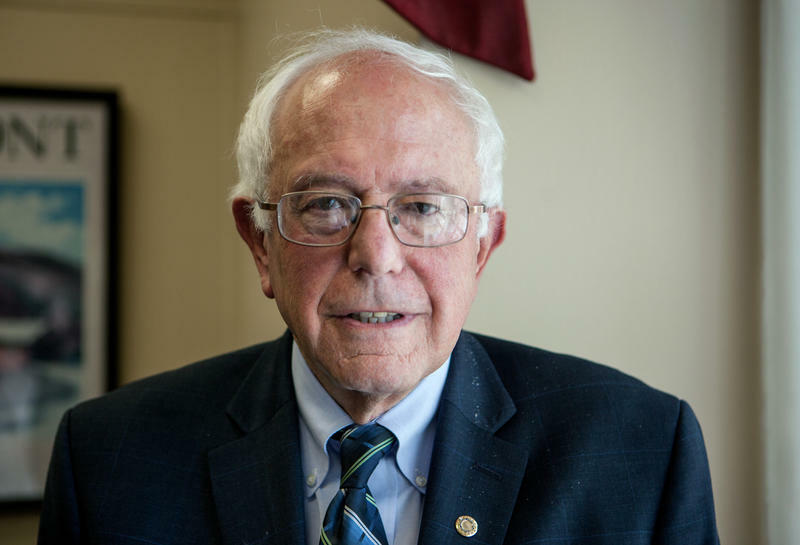 That means Sanders is only partway up a steep hill to the nomination. 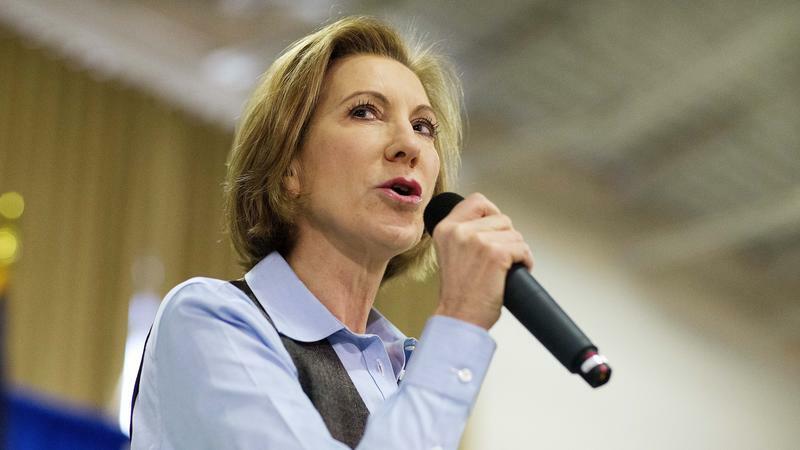 Businesswoman Carly Fiorina, who ended her own presidential bid last month, has endorsed Texas Sen. Ted Cruz. Appearing at a Cruz rally in Miami on Wednesday morning, Fiorina said she voted for Cruz in Virginia's recent primary, and praised his record in challenging Washington's status quo. Calling Cruz a "real constitutional conservative," she said "he is a fearless fighter and reformer, and he didn't care much whether he got invited to the cocktail parties in Washington, D.C." Fiorina said. Marco Rubio made 14 years of his tax returns and Ted Cruz released four more years of his Saturday, increasing pressure on rival Donald Trump to release his. 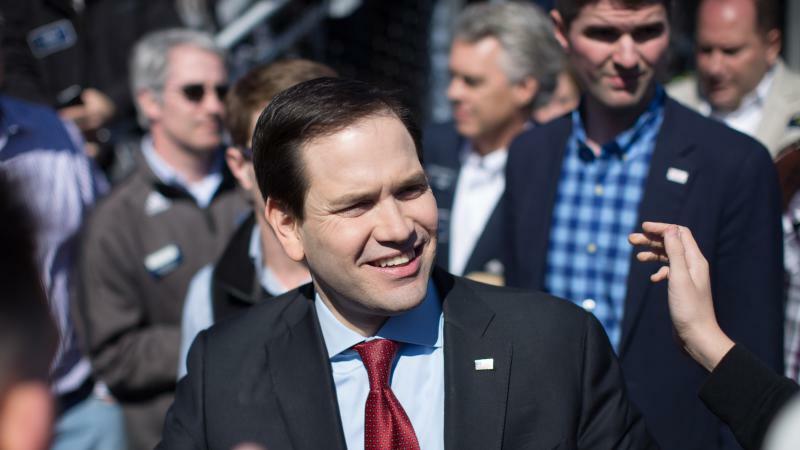 Rubio's returns show his family's adjusted gross income was $335,561 in 2014, the most recent year he made available. 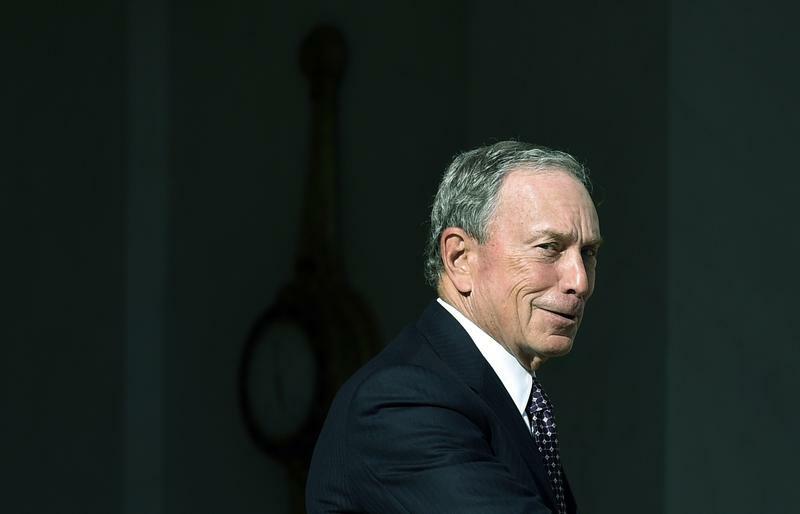 He paid almost $65,000 in income taxes, a 19.3 percent rate. #MemeoftheWeek: What Would Honest Abe Really Think Of Politics Today? 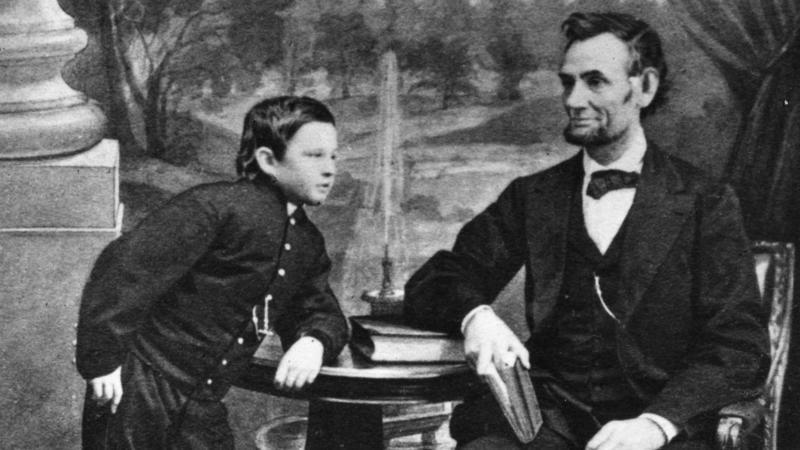 Abraham Lincoln trended on Twitter this week. Wait, what? Honest Abe proved what's become a hipster creed: Everything old becomes new again. There were also memes of Lincoln holding pizzas, stereos and cellphones. But the memes also quickly became about the presidential candidates, with the hashtag #ThingsLincolnDidntSay. Talk about putting words in someone's mouth. This week, NPR asked voters around the country how they are feeling about this election, and why so many tell us they are anxious or angry. 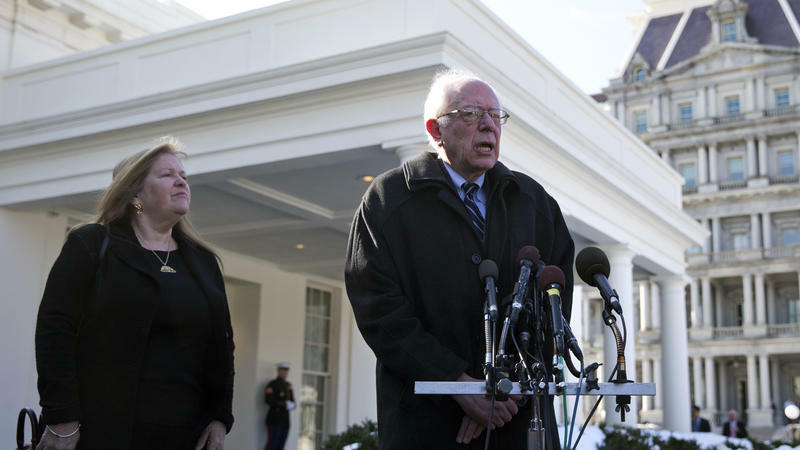 President Obama and Vice President Biden "have tried to be fair and even-handed" in the primary process, Sen. Bernie Sanders said Wednesday following a meeting with the president at the White House. 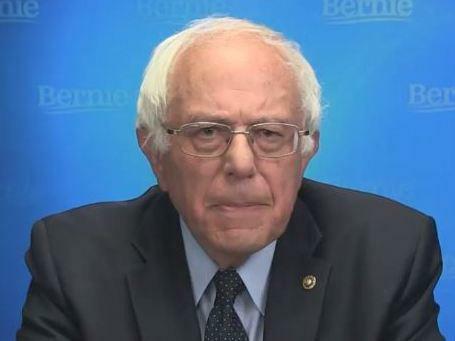 Calling the meeting "constructive and productive," Sanders cautiously praised the Obama administration's economic work, saying there is still work to be done. The two also talked talked about foreign and domestic policy and "a little bit of politics," according to Sanders, who spoke to reporters after the meeting. 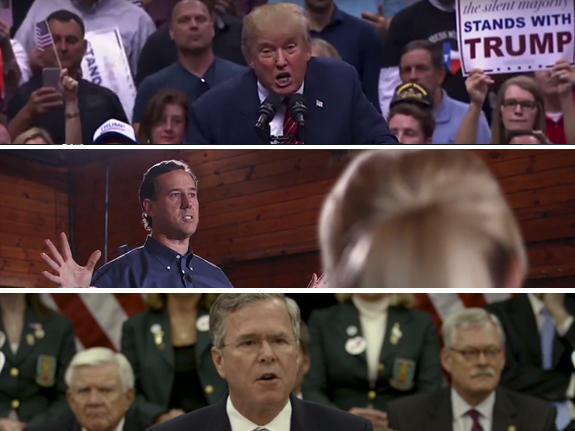 Several GOP presidential candidates are starting to lay out their closing messages in a new round of campaign ads airing in Iowa and New Hampshire this week. The ads come ahead of the early February primaries in those states. They strike a dark and fearful tone, with footage and news headlines highlighting the recent terror attacks in San Bernardino, Calif., and Paris.